Seller saved $9,330 in commissions!! Move in ready 5 bedroom home located in the highly desirable Wyndham Hills subdivision. 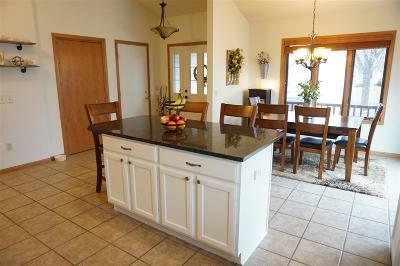 Beautiful open kitchen has granite counter top, lots of storage and countertop space. Upstairs you will find three nicely appointed bedrooms and a roomy living room with gas burning fireplace. Lower level has tons of natural sunlight, a gas burning fireplace in the rec room plus two more bedrooms. Outside you will find a mature fenced in backyard with a brand new stamped concrete patio with fire-pit. Truly a home you will want to entertain friends and family in. Plenty of room for all.